From the very few sources I can find, one can get a regular Phantom Grip for $299.99 from the manufacturer http://shop.phantomgrip.com/products...ATURN-S-SERIES and you have the option of purchasing a $30 "upgrade": essentially stronger springs that you use in place of the normal ones. However, I found one from a separate distributor (same product) http://www.importperformanceparts.ne...ip-saturn.html for $269. At $30 cheaper, it seems like a good deal, but it includes ONLY the upgrade springs--not the regular springs (in theory, making it $60 cheaper, if you don't need the regular springs). However, in my fairly extensive searching/research on the forum, I saw it suggested that the upgrade springs may cause problems (excessive wear/very short lifespan or something). If anyone knows of any other sources (or if someone has a used one they'd like to sell), I'd be interested. It doesn't do anything with the diff case. It goes between the spider gears and basically puts pressure on them making them spin at the same speed so you don't get the one wheel wonder. I can't remember if the gold springs were the upgraded ones or not, but mine worked pretty good for what it was. [QUOTE=scottyr94;1396137]It doesn't do anything with the diff case. It goes between the spider gears and basically puts pressure on them making them spin at the same speed so you don't get the one wheel wonder. I can't remember if the gold springs were the upgraded ones or not, but mine worked pretty good for what it was. Thanks for the reply. I know how it works (where it goes), but doesn't it push the spider gears out against the ends of the case, or does something else provide the reaction force (something has push back on the other side of the gears with an equal (opposite) force? I'm not sure if the "regular" springs are gold or not, but the "upgrade" springs are green (despite the fact that they call it the "gold kit"). I'm pretty sure I just had the regular one. 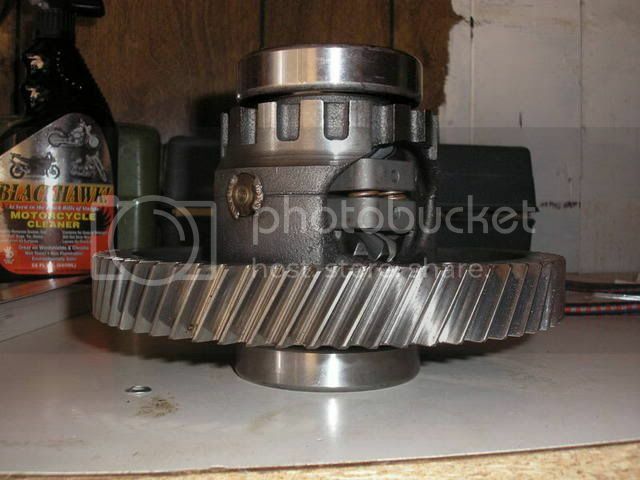 I could possibly sell you that diff still in a 95 MP3...its just sitting on my garage floor. the regular springs were gold, the upgraded ones were green. from what i recall it was generally advised to go with the regular set if you decided to phantom diff. I could possibly sell you that diff still in a 95 MP3...its just sitting on my garage floor. Regular springs with a .020-.040 shim under each one. definitely weld the diff pin. I had one that looked like a Lincoln Log. if that wasn't welded, it would have F'd up the trans long before I swapped it out. Wouldn't that be comparable to the upgraded springs? Or are they much stiffer than regular? Does anyone know for sure if there is a problem with using them? From PG's website: "1. Saturn Owners need to remove thrust washers." Please forgive my ignorance if this is a stupid question: what are the thrust washers, and do I, in fact, need to remove them? its been pretty decently recognized that the green springs are too stiff and cause excessive wear and accelerated failure. Thanks, that's what I was afraid of. I guess I'll pony up the extra green for the "regular" version. I seem to recall reading somewhere that you need a special, thin-walled socket for some part of the automatic transmissions ('95 SL2, so that's a first generation MP7). Will splitting the transaxel to remove and replace the diff require the special socket? If so, can I make one by turning a regular socket on a lathe (I have a lathe, so that's probably easier and cheaper than special ordering something)? Are there any other "special" tools that I'll need? Any tips or suggestions? I've never had a Saturn transaxel (or any automatic transaxel, for that matter) apart before, but I've looked through the FSM instructions, and it looks pretty straight-forward and simple (a lot easier than "conventional"/RWD transmissions). The socket you are referring to is a 23mm 12 point thinwalled socket. Any 23mm 12 point will work, as long as you grind down the business end to fit into the 1st clutch housing. I think SK was one of the only brand socket that fit well without modification. I used an old craftsman socket until someone decided they liked it better than I, so I then started using a Stanley socket. A few minutes with a grinder worked on both of them. As far as special tools.. not really. If all you'll be doing is the differential, the only real special tool you'd encounter would be the 1st gear holding fixture - but - I have used a flat blade screwdriver wedged in the gears to hold the shafts while torquing that down (some asshat at the shop decided to take our fixture when they quit.) Removing that nut I always used air. Bumping this thread to find out what the "long run" effects of the PG LSD were? How did it work out for you all? You could save up some more and see if Mfactory stocks diffs or watch the for sale section. With as cheap as people have been selling the mfactory and quaife diff's I wouldn't bother. The phantom grip does work but not nearly as well as the others, it also, along with the diff it is in, has to be treated as a disposable part just like tires and clutches.